Perfect accent piece for your comfort zone! Alpaca on one side, cotton backing with zipper on the other. Measurement is 15” square but the fur extends the size about an inch. 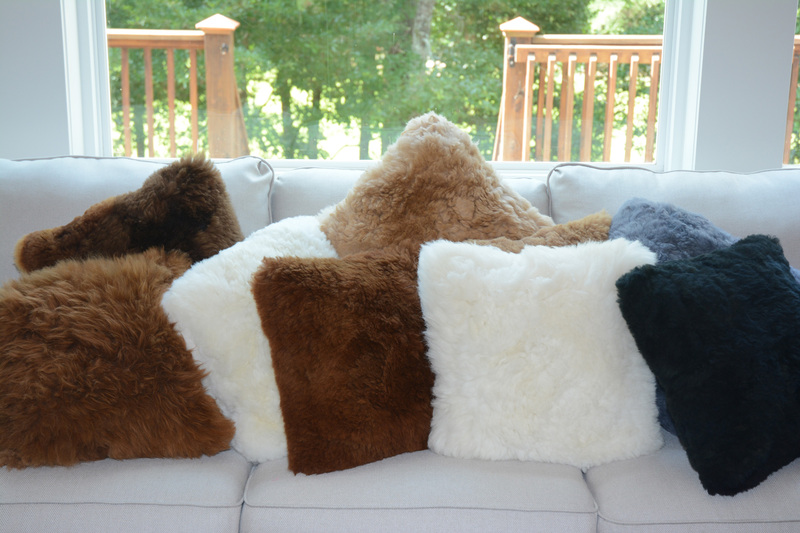 These pillows add depth and interest to any seating arrangement. Be forewarned …. Alpaca Pillows are loved by every age! Inserts are not included for ease and cost of shipping. Colors: Fawn, White, Black, Gray, Brown. Size: 15” square but the fur extends the size about an inch.